As Hannah gets older, more and more some things are deemed for "babies" and newer items for "big kids" become, what she considers, age appropriate. Enter LEGO. While she was happy as a clam to play with Duplo until recently, when she discovered the Disney LEGO and LEGO friends it was game over - for me. Her first foray was an Ariel set she found while pacing the toy aisles at Walmart. 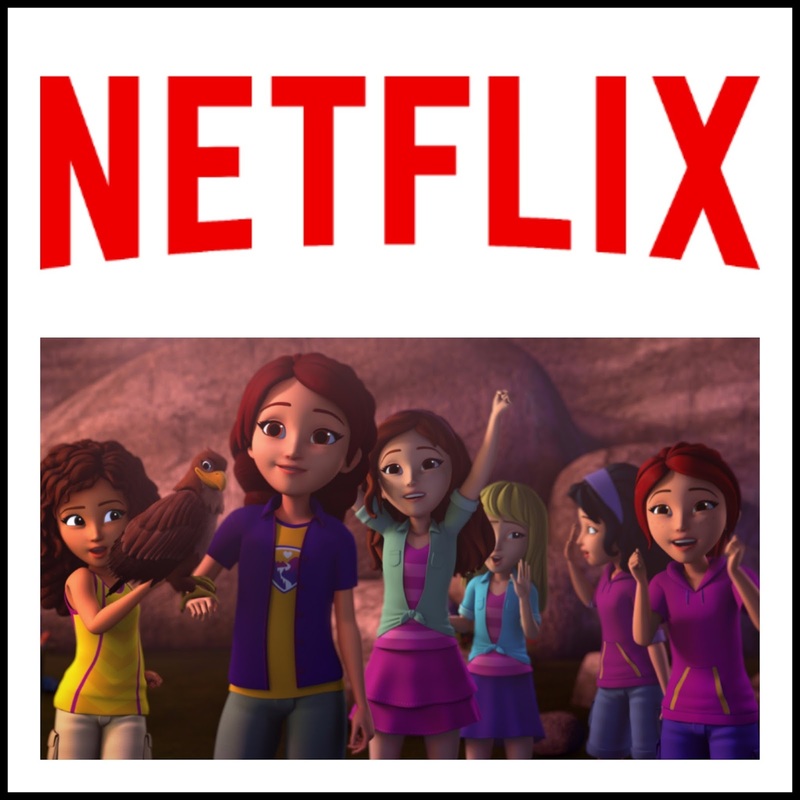 The second set was courtesy of Netflix Canada, celebrating March Break and the launch of LEGO Friends: The Power of Friendship on March 4th. "Mom, can you put this together so I can play with it?" asked the girl who recently broke Barbie's sunglasses. As I tore apart the box, and saw all the little pieces I thought we were headed for disaster. Thank goodness LEGO packed a few extras of the smallest ones. "OK - I'll build this for you," I said, with a negotiation in mind. "But, I want to watch LEGO Friends while I build it, not PAW Patrol or Peppa Pig." This of course ensued in a temper tantrum. Don't mess with the same three episodes of PAW Patrol and two episodes of Peppa Pig she watches on a weekly basis. But when she saw I was firm and wouldn't build it until "my show" came on she gave in. A few minutes in to watching the first episode, Hannah sat smiling on the couch - "Wow, Mom, I really like this." I was perplexed at building a tiny LEGO piano and wondering where the extra keys went...and how I could be having issues building something that was geared to children, ages 5-12. And while at first I was totally against "girl" LEGO (because there are no girl toys or boy toys - just toys), I've never seen her play with one toy set as much as she has the LEGO Friends Birthday Party set. For the most part it's stayed together and she's managed to keep all the little pieces from disappearing under the couch. And even if I built the LEGO exactly per instructions, she's still enjoying creative play using the LEGO pieces and people...and animals. As for LEGO Friends: The Power of Friendship, I enjoyed what I saw too - polite friends working together to solve problems - on the camp site, and on the basketball court. The cartoon doesn't look like actual pieces like the LEGO movie, but you can clearly see how the girls from the sets are the ones who grace the screen. How does your house feel about LEGO? Do you stream LEGO shows on Netflix? © 2016 YYZ Bambina. All Rights Reserved.